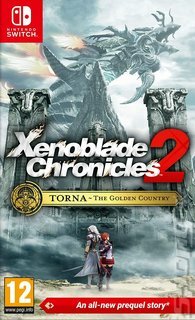 You could think of Torna - The Golden Country as Xenoblade Chronicles 2.5. It's a standalone expansion largely built on the engine and gameplay mechanics of Xenoblade Chronicles 2, but offering a huge new story for fans to sink their teeth into, as well as a few little tweaks to the basic formula. Torna - The Golden Country dives deep into the past of important characters like Jin, Mythra, Malos, and Praetor Amalthus, as well as figures like Lora and Addam who loom large in the Xenoblade Chronicles lore. It takes place during a conflict that literally shaped the world of Alrest, the Aegis War. It's a conflict that saw several of the floating titans that make up the continents of Alrest destroyed. It doesn't get more world-shaking than that! The action plays out on a brand new map. The Tornan Titan forms the backdrop of the new expansion - no re-used maps from the original game here. There have also been refinements made to the combat system. Crucially, players will now be able to swap between controlling the game's Drivers (the main characters) and the sentient Blades they wield during combat. Battles become faster, more dynamic and even more focused on combos. There's a lot of new content to dig into here, and Xenoblade Chronicles fans are going to be busy for a fair old while.